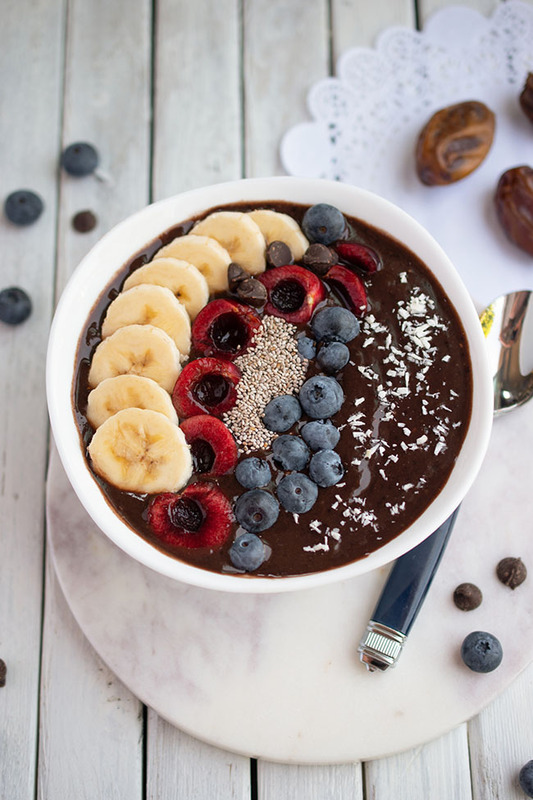 This post is part of YummyMummyClub.ca's support of Plan Canada’s Because I am a Girl initiative. I received compensation as a thank you for my participation. This post reflects my personal opinion about the information provided by the sponsors. Go to www.becauseiamagirl.ca for information on how you too can make a difference. As the mother of a boy and a girl, I want both of my children to have equal rights and privileges. Fortunately, both of my children have ample access to healthy food, clean water, healthcare and education. The same cannot be said for millions of other kids in the world who suffer from hunger, poor nutrition, diseases (like measles and malaria) and little or no access to education. This is why, several years ago, our family chose to sponsor a young girl in Africa through Plan Canada. We requested a girl that was close in age to my kids so the children could grow along with her and feel closely bonded. The children and I enjoy looking at the photos we receive and asking Mouzou questions about her village and her family through correspondence. As a family, we discuss the rights and privileges that children enjoy here in Canada and how other children are not so lucky. While life is difficult for many children throughout the world, girls are particularly affected by poverty. Of the over 110 million children in the world out of school, more than 60 per cent are girls. Unfortunately, as we know all too well, girls in developing countries are often the victims of cruel traditions and physical and sexual assaults. And more than 10,000 girls a day will get married before they turn 15! I also know that girls have tremendous potential to change the world, and I want all girls to have access to education, healthcare and nutritious food, just as my sweet girl does. I'm a big fan of Plan Canada's Because I am a Girl campaign. This global initiative aims to end gender inequality, promote girls’ rights and lift millions of girls – and everyone around them – out of poverty. The "everyone around them" is key in my opinion - there's no end to what girls can do given the education and the tools they need to make a difference in their communities. Through Because I am a Girl, Plan creates sustainable projects in developing countries to improve girls’ access to clean water, food, healthcare, education and protection from violence and exploitation. 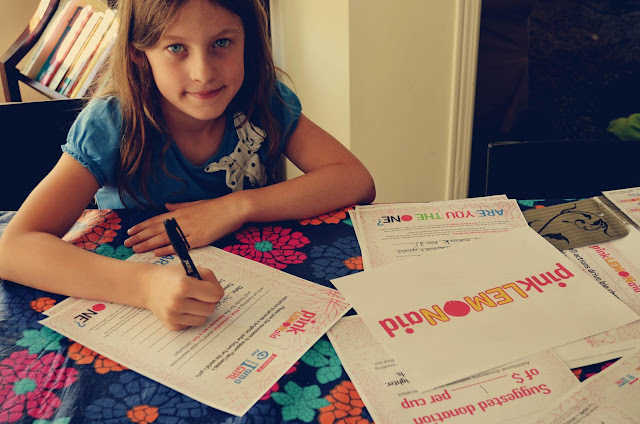 Through Plan Canada's Pink LemonAid initiative, we can help the world's children while providing our own kids with an opportunity to make a positive impact in the world. 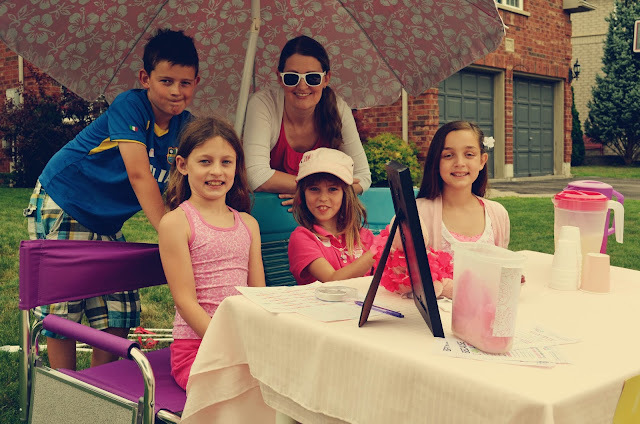 This past weekend, my kids and I got some friends together to host our own Pink LemonAid stand. I have to say, my daughter is always asking me if she can do a lemonade stand, and usually my answer is no. But, make it a lemonade stand for charity and I'm all in. 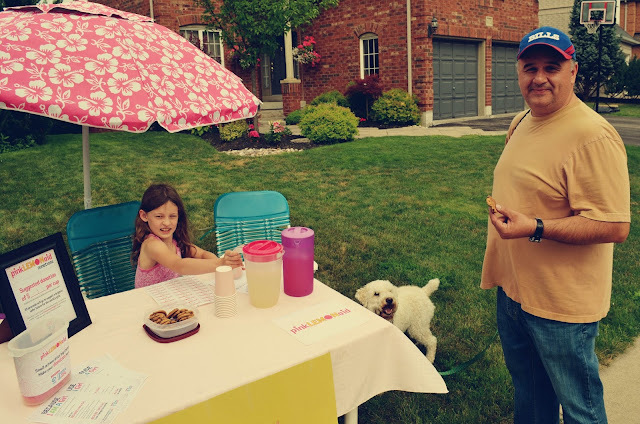 The idea is simple: host a lemonade stand, raise awareness about Because I am a Girl and collect funds to support programs in developing countries. To start, I visited becauseiamagirl.ca/pinklemonaid to download the Pink LemonAid kit. 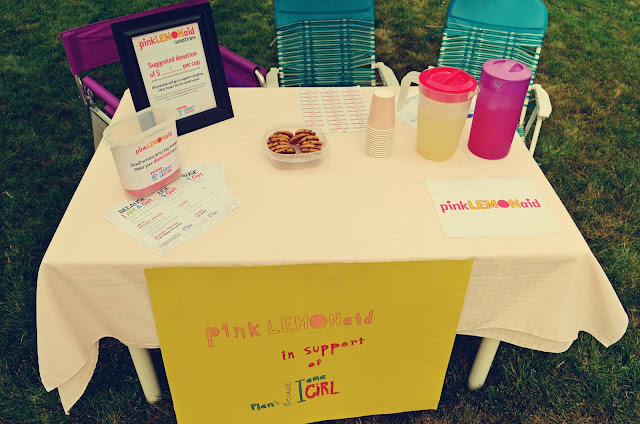 I printed a sheet of stickers to give to donors, a Pink LemonAid logo to decorate our table, a Because I am a Girl handout to provide donors with more information, some promotional flyers, a pricing sheet and a donation jar wrapper. Once we had checked the weather forecast and picked out a date and time, my little girl eagerly filled in the details on the promotional flyers. We decided to post them on the common mailboxes that punctuate the streets around our house. We bought several frozen cans of pink and regular lemonade, a large package of cups and some chocolate chip cookies. We figured the cookies would entice passing children to return with their parents. We settled on $1 for a cookie and a glass of lemonade and then framed the pricing sheet and placed it on the table. We put up our pink beach umbrella to draw the attention of passersby in cars and we prettied up our table with a pink tablecloth. My daughter invited a cousin and a friend to help with the sales. They all wore their pink t-shirts. I encouraged my son to participate too, even though the girls were a bit hard on him. He was all too happy to help - it was my daughter who needed to be reminded that even her brother can help to make the world a better place for girls! 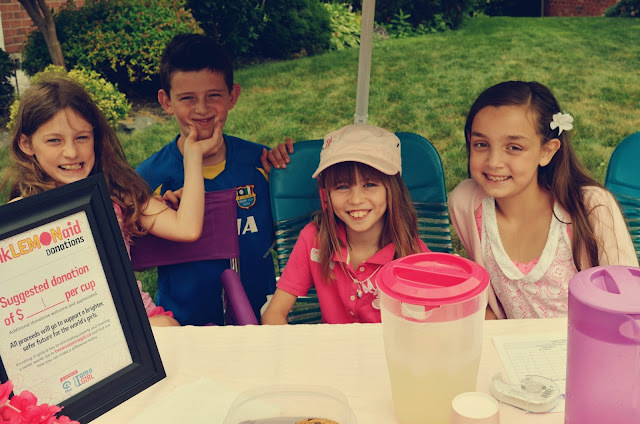 The kids were initially a bit shy, but once they got more comfortable in their sales roles they started to call out to passersby. I was able to stand back and let them handle all of the transactions themselves. We were truly touched by people's kindness. Several people commented that they came out to support our initiative after seeing our flyers on the mailboxes. Others stopped their cars to make donations. Many people were out on walks with children and dogs - while they didn't have money on them, they said they would return...and they did. We set a modest goal of raising $25. An hour in, our goal was accomplished! I asked my daughter to set a new goal and she went with $40. I was quietly nervous, but I wanted her to feel empowered and I admired her enthusiasm. In the end, our total was $59! While I offered to put in the extra $1 to make it an even $60, the kids spent the afternoon in the basement making crafts for us parents so they could sell them for 25 cents and raise the remaining $1 themselves. In the end, we all had a lot of fun and I was truly proud of how enthusiastic and eager the children were. Best of all, they were authentically motivated to help and you could see they felt good about how their actions would be affecting others. The Because I am a Girl initiative was founded by Plan International, one of the largest international charities in the world. Founded in 1937, Plan has supported girls and boys in the developing world for more than 75 years through collaboration with children, their families, and their communities. Because I am a Girl is Plan’s global initiative to end gender inequality, promote girls’ rights and lift millions of girls – and everyone around them – out of poverty. Through this initiative, Plan creates sustainable projects in developing countries to improve girls’ access to clean water, food, healthcare, education, and protection from violence and exploitation. Go to www.becauseiamagirl.ca for information on how you too can make a difference. Check out more stories on www.yummymummyclub.ca about Because I am a Girl and hosting your own Pink LemonAid stand. Congratulations! What a great effort for such a worthwhile cause.The children involved are also being made aware of the need to help others. What a great idea and such a great way to teach children about charity. It makes me so sad to think of all of these little girls around the world who do not have the same freedoms and privileges that we do. Way to make a difference! What I think is so touching is that children naturally want to help others. Ideas like this give them a good way to do it. I feel sad thinking about all those sweet little girls too. Joann, this is so incredibly powerful! I'm just speechless by what you guys did - and I'm even happier that you shared it and motivated all your readers to do something similar! Charity really does begin at home! Great project!! So proud of your cuties! She's growing up!! I LOVE this! Wish my daughter was just a little older, but I hope to do similar projects with her. And it's so important to focus on the girls and women in poverty - they can get so much farther with education! What a fantastic initiative and look how happy the kids look! 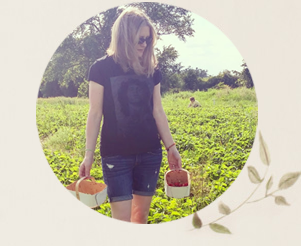 You've inspired me (like you, if it's for a good cause I'm in.) I'm going to do this with Olivia. Thank you for sharing, raising awareness and being all around awesome. Your stand looks aboslutely gorgeous and your heart is even more gorgeous. I support this initiative wholeheartedly. Children everywhere, regardless of gender, deserve the best possible education we can give them.